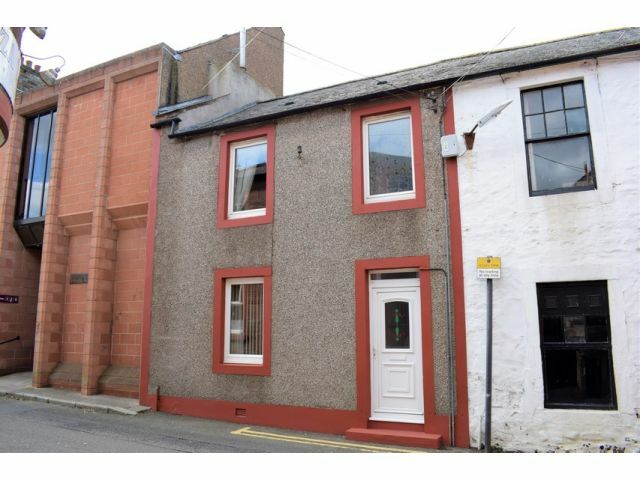 2 Downies Wynd was purchased by the owner in 2000 and has been substantially refurbished. Annan provides all amenities associated with a large town and has good rail links North & South. Providing Lounge open to Dining Area, Kitchen, Ground Floor Bedroom, Bathroom, Upper Bedroom and Good Storage Throughout. This two bedroom property would be ideal for a first time buyer or a buy to let investment, given it's excellent location for the town centre and railway station. Ceiling light, electric metre cupboard. Laminate flooring. Window to rear with blinds. Recessed lighting, power point with USB ports. Radiator, carpeted flooring. Two windows to rear with blinds. Ceiling light, radiator, laminated flooring. Loft access. Ceiling light, Balustrade. Storage cupboard with ceiling light and plumbing for washing machine. Two windows to rear with blinds. Recessed lighting, suite comprising of toilet, wash hand basin and corner bath with shower tap attachment. Radiator, carpeted flooring. Loft access. Window to rear. Ceiling light, smoke alarm, carpeted flooring. Window to front. Ceiling light, range of over head fitted furniture. Walk in storage cupboard with window to front and ceiling light. Radiator, carpeted flooring. Please note – there is no outside space available with this property.